There is no doubt that aesthetics plays a big part for properties in Cumbria. Automation & Security can help with commercial perimeter security solutions which fit it in with your properties style and branding. Whether it’s electric gates for your commercial premises in the Lake District or bollards for your hotel car park in Bowness, get in touch. Automation & Security have been installing electric gates and security solutions for the last 20 years in Cumbria. 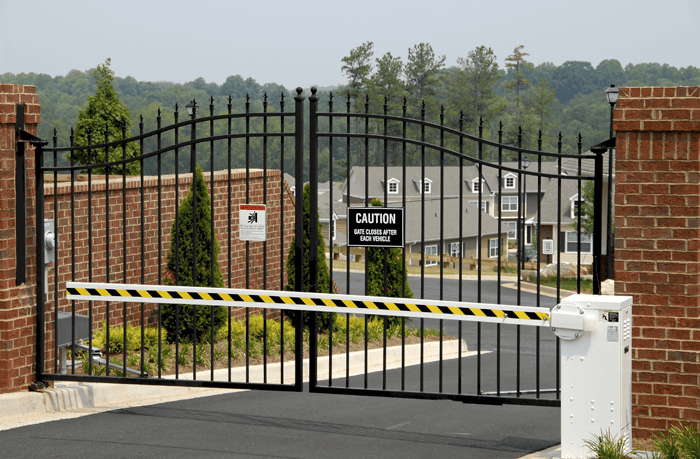 They pride themselves on working with the best manufacturers in the field of gate automation and access control, giving the customer a superior and quality product. From supply to installation, their expert team will be on hand every step of the way to achieve your security needs. Whether it’s swing, cantilever or sliding gates, they have the solution. Arm barriers are a great way to restrict access to your commercial property and manage traffic flow. These can be either manual or automatic rising arm barriers and can be fitted with optional access control which can be linked to a client’s existing employee database for added security and savings on manpower. Bollards come in either static or retractable models according to your needs in Cumbria. These are easy to setup and install and make a great security deterrent for your property. For those working in the hospitality industries such as hotels, golf clubs and exhibition centres, they recommend their range of Semi auto/Hydraulic bollards which are both flexible in functionality and appearance. For those after anti-terrorist or high impact security systems they recommend their range of PA68 products. These can withstand impact from vehicles even at high speeds, reducing the risk of ram raid to the property. If your intruder is the British weather they recommend their range of flood defence gates, to keep the flood water at bay and your business operational.